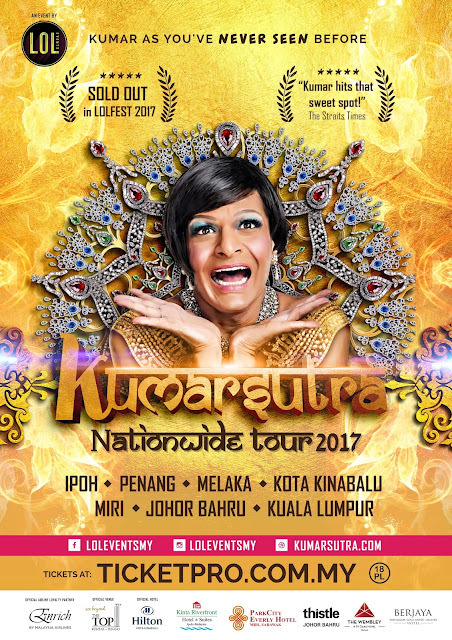 One of the most iconic and talented stand-up comedians in Southeast Asia, Kumar is set to hit the roads of Malaysia on a nationwide tour with a show called “Kumarsutra”. Proudly presented by LOL Events, the show will tour seven cities in Malaysia – Ipoh, Penang, Melaka, Kuala Lumpur, Kota Kinabalu and Johor Bahru – throughout September and October 2017. The show will see Kumar perform a personalised show that will bring the audience through a story of struggle and triumph, all delivered through Kumar’s trademark sense of humour. 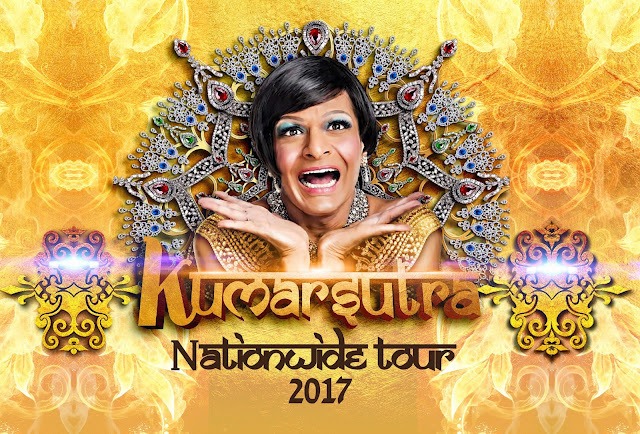 Fusing together the traditional and modern aspects of performing arts that have been perfected over the years, Kumar brings you a show like none other, transcending across age, gender, and race. “This show is meant to remind people to celebrate life. Laughter brings people together no matter what race, religion or colour of skin. We all have our paths which involve sadness, happiness, regrets and accomplishments, let me share with you mine. You are never alone,” said the comedian in a statement. Audiences can witness Kumar’s raunchy humour as he entertains with his sharp wit, whimsical storytelling and the ability to find the funny in the most difficult situations. While the show will contain his trademark jokes, it will also include a “major surprise” that will give audiences a message they can walk away with. “We’ve worked with Kumar for about 7 years now, mostly doing shows in KL. Kumar has always delivered amazing performances and it comes from the passion of art and love for the fans. Now is the right time for Kumar to share his gift to the whole of Malaysia – that gift of connection and laughter,” said CEO of LOL Events, Rizal Kamal. The show will kick off on 8 September 2017 in Ipoh, and wrap up on 14 October in Johor Bahru. Tickets for the show are available for purchase from ticketpro.com.my with ticket prices ranging from RM80 (Silver) to RM300 (VIP).